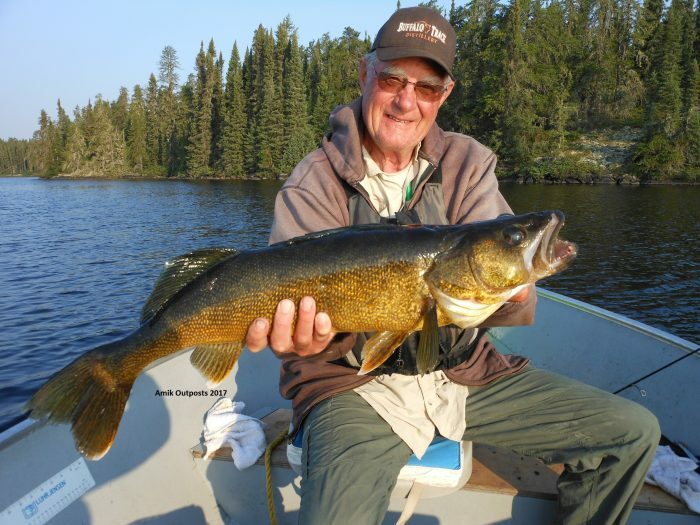 Canadian Fly In Fishing » Blog Archive » World Class Walleye Fishing! Having been around the tourist business for the past 25 years, we know who has the best Walleye fishing. 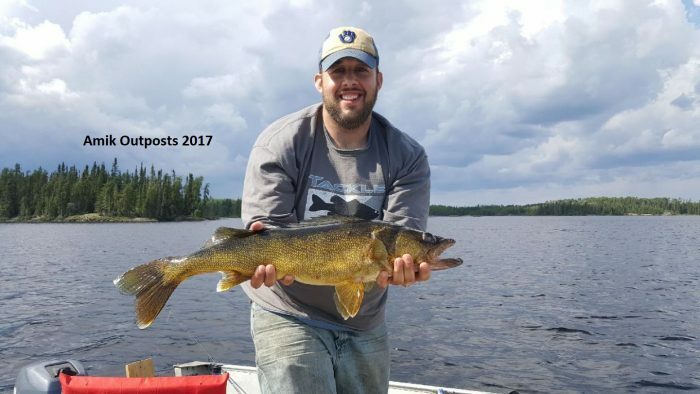 I can honestly say that our lakes would rank right up near the top of the list of Outposts and even fancy Lodges for Quality and Numbers of Walleye. Our lakes have a great combination of flowing water through deep water lakes. Mixed with many weed beds , great structure both along the shore and out in the lake. 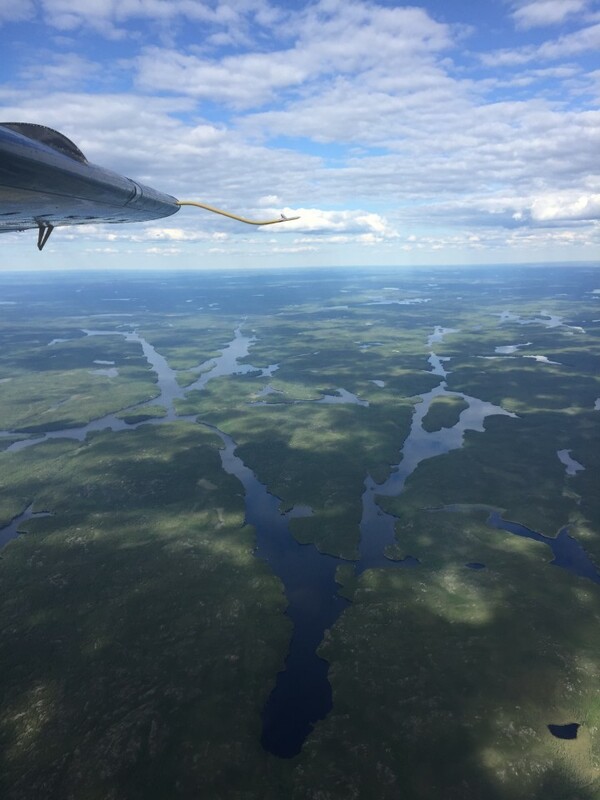 These lakes have not been fished nearly as long as most lakes in all of Ontario or Manitoba. Amik Outposts was created in 1992 and began opening up these lakes for the first time. Building state of the art solar powered cabins with running water and hot showers. My Dad, Wayne was the guy who brought it all together and in 1994, Rena and I began our first summer in the business. 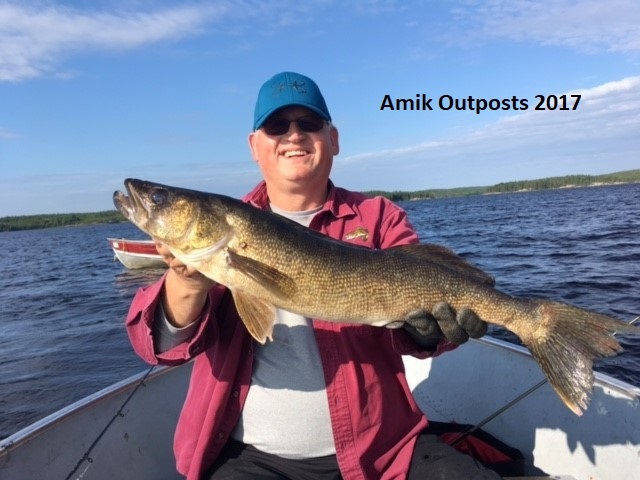 Since the very beginning Amik Outposts has had a “No Trophy Policy” meaning that no big fish were to be taken from the lake. Walleye and Pike. 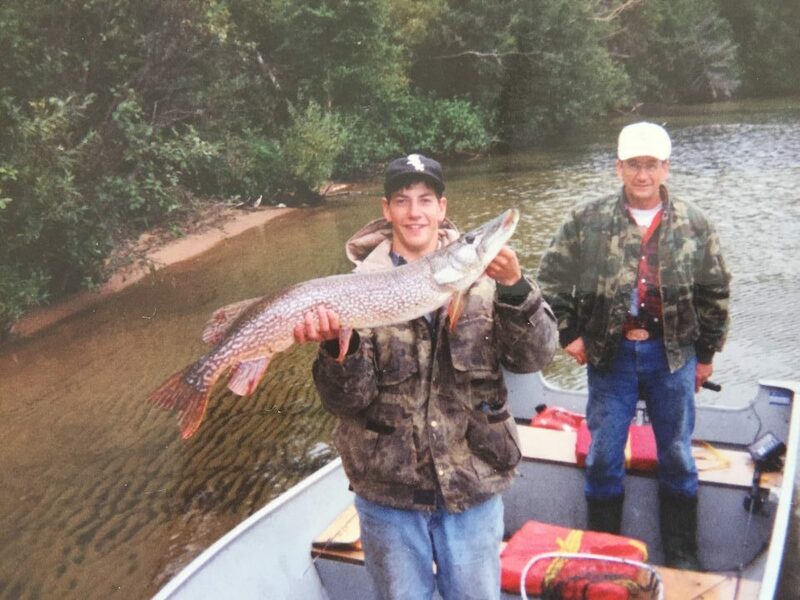 Throughout the past 25 years we have seen the fishing not only stay the same but get even better when in regards to Trophy Fishing!!! The gene pool is unharmed on our lakes and it shows. Take a look around our website, all of our pictures are all from the previous season. Trophy Fish are the norm, not the exception. We have had fishermen who have fished with many other outfitters, who are experienced fishermen and after fishing our lakes……. have not gone anywhere else! 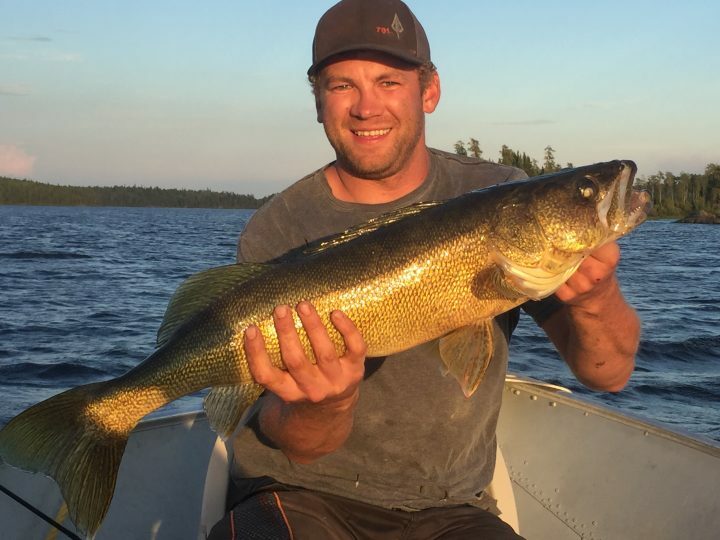 While every fishermen does not catch a 30 inch walleye their first time out, you will catch more walleyes than you have ever in your life and the average walleye will be larger than you are used to catching. 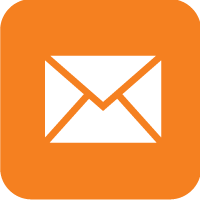 If you are ready for some awesome fishing and an experience of a lifetime please click here! I was blessed to catch 2 ‘eyes of a lifetime at Cherrington, both over 30″!! Those are some nice walleyes!